« More Mike! San Pascual Stables! Tytla and Tyer! Cathy and I are very sad today. 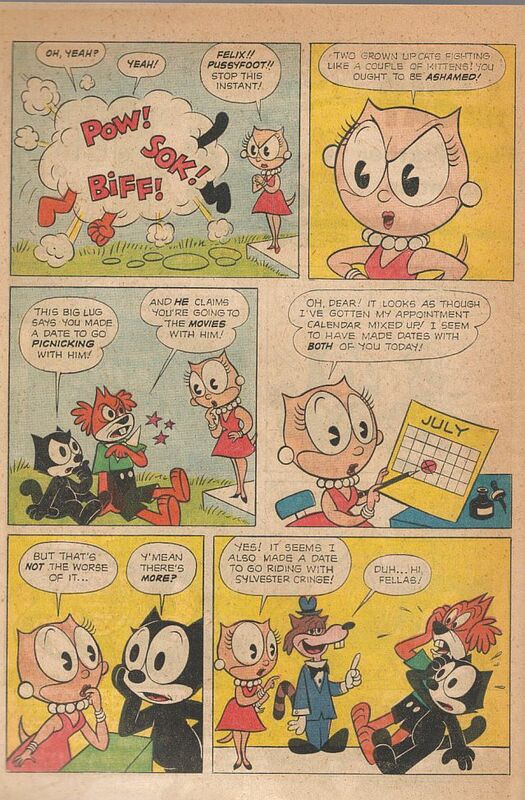 We are mourning the passing of a dear friend in comics fandom, brother of Bea Barrio-Buchman and brother-in-law of our friend Ed Buchman (publisher of Little Lulu fanzine, the Hollywood Eclectern): Mickey Barrios. He died last night of complications of pneumonia and a chronic cough he had suffered from for several months. Mickey had a small business for years dealing in new and old comic books at sizable discounts. The business went under the name “BEA”, same name as his sister, but it could have been an abbreviation, Mickey never told us. He lived in a charming little attic, surrounded by books, in Bea’s family’s house and was a very quiet and private person. Comics were his window on the world and, through them, he made a lot of friends. He knew many folks in fandom; knew all the dealers at the San Diego Comic-Con. I still prize a book I bought from him on cartoons: “Careers in Cartooning” by Lawrence Lariar. Mickey was a big booster of my wife’s comic book: Mad Raccoons by Cathy Hill (published by Mu Press, 1991-1996). He wrote Cathy encouraging letters when a new issue came out, calling it a “truly adult” comic, about relationships, psychoses and neuroses. He was very generous with his time, and always carried Mad Raccoons in his monthly comic lists. Cathy always said that Mickey’s comments about her raccoons were some of the most astute she ever received and valued them. This is an especially sad time for Mickey’s sister, Bea, as her mother passed away shortly before the holidays last year. If you knew Mickey, or would like to write a letter, just go to Ed Buchman’s website (there is a link to it on this page). I have posted almost a week’s worth of Marvelous Mike strips: 3/12/1956 to 3/16. This is to bring the strip up to posting a week at a time as originally published. Also there is a scan of the first Mike strip, kindly supplied by Dean Mullaney (through Craig Hodgkins, who has a blog on Joe Penner, link at right). Dean thinks there was a Mike Sunday page, maybe he will send us one? 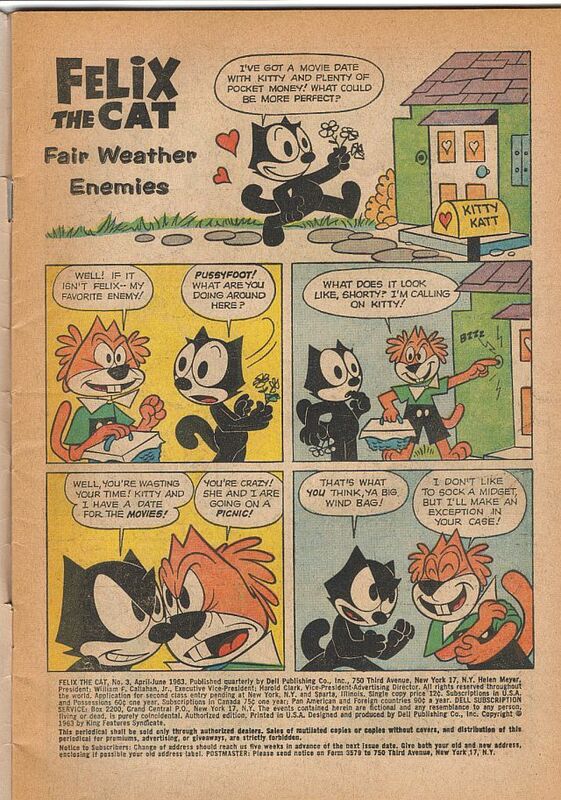 Also I have posted the first two pages of the Jim Tyer Felix story: “Fair Weather Enemies” from Dell Felix #3. These are real scans, this time. I kind of like to think that Mickey Barrio would have enjoyed reading these. This post is for him. See you next time. This entry was posted on Sunday, January 20th, 2008 at 7:45 pm and is filed under Uncategorized. You can follow any responses to this entry through the RSS 2.0 feed. You can leave a response, or trackback from your own site.